Spirit CEO Ben Baldanza believes a low price is the same as good customer service. Of course Spirit CEO Ben Baldanza is the one who has repeatedly stated that his airline — in spite of being roundly criticized by consumers, regulators, lawmakers, and consumer advocates for its focus on fees and cramming as many bodies into the plane as possible — the “most consumer-friendly airline,” so this level of detachment from reality is nothing new. 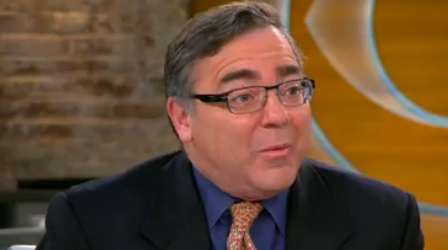 Baldanza was on CBS This Morning today to defend himself against the Consumer Reports survey, which used data from 16,663 consumers who took 31,732 flights between Jan. 2012 and Jan. 2013. Spirit received the dreaded black dot “Worse” rating in each of the six categories — Check-In Ease; Cabin-Crew Service; Cabin Cleanliness; Baggage Handling; Seating Comfort. It was the only airline to score black dots in more than three categories. Rose somehow manages to keep a straight face and points out that the Consumer Reports survey seems to indicate otherwise. And so Baldanza goes back to singing his song about being low-priced. Baldanza then shows just whose interest Spirit truly serves — the investors. In a bit of fun pop psychology, CBS’ Gayle King asks Baldanza to compare Spirit to similar retail or food-service companies. Spirit’s total score for the survey was a lowly 50, 13 points behind the second-worst (United), and 39 points behind top-ranked Virgin America, which earned “Better” rankings in every category except for Seating Comfort. This is only the latest in a series of bad survey results for Spirit. Last week, it was the only U.S. carrier to make the SkyTrax list of the world’s 20 worst airlines. Previous How Will People Without Bank Accounts Pay For Health Insurance?